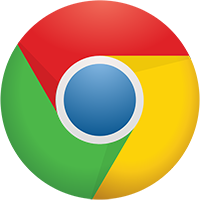 A look at global browser market share data will show that Google’s Chrome browser commands more than half of the browser market (61.2% for April 2017, to be specific). The market share might be even higher among librarians (who have a choice at work). If you’re not a Google Chrome user, these additional six browser extensions might make you switch. We previously posted 6 Chrome Browser Extensions Every Librarian Needs. If you’ve never considered browser extensions, they are plugins or small applications that add functionality to your browser. Sometimes they work in the background (like Unpaywall, below) but usually they work when you click on a small icon that gets added to the browser’s toolbar. Here are six more Chrome browser extensions every librarian needs. A proxy server is a service that provides authentication and mediation between database or publisher websites and the end user by routing Internet traffic through its system. Why learn about proxy servers? A proxy server is a service that libraries use to authenticate their users to provide access to many online databases and publisher websites. Using a proxy service allows library resource vendors to authenticate users from a single point-of-access regardless of where they are located, on-campus or from their home computer. For our examples, we’ll use the popular EZproxy product from OCLC. To avoid having to provide users with an individual or institutional login and password, most database and publisher websites authenticate users by IP address. Sometimes vendors will limit access to a range of IP addresses—on a single campus, for example. But for users outside of the physical campus, you must provide a known IP address (or set of IP addresses). This is accomplished by routing users through a proxy server so that the access requests come from its IP address(es) which are recognized by the vendor. The content is then returned to the proxy server and routed back to the original user. Because libraries can’t let everyone access their resources via EZproxy, they must authenticate their users before access. EZproxy allows user login itself, but EZproxy also provides a method of authentication using your institution’s single sign-on (SSO) server. As you perform a search or click on links on a database or publisher site, you are submitting your requests to your EZproxy server which passes them on to the original website. Data is returned to the EZproxy server which sends it back to your browser. That is why the post-proxy URL ends with .ezproxy.yourlib.org (ignoring the path). You might notice some post-proxy URLs use hyphens instead of dots between parts of the original website’s address. The short explanation is that the EZproxy server uses a wildcard security (SSL) certificate for *.ezproxy.yourlib.org which allows one subdomain before the EZproxy server domain (ezproxy.yourlib.org). The hyphens “trick” the server into seeing the original website as a single subdomain. This is done only for original websites that use HTTPS. EZproxy has many settings that are configured during initial installation (using hyphens with HTTPS, for example). You also set the maximum number of virtual hosts (typically from 5,000 to 20,000). 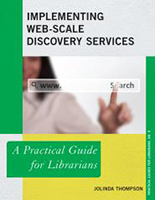 OCLC publishes a list of recommended database stanzas for many of the most popular databases. Of course, websites are frequently updated and these changes often require revised or completely new stanzas. These stanzas are found in the config.txt file. Here are some resources to learn more about EZproxy. 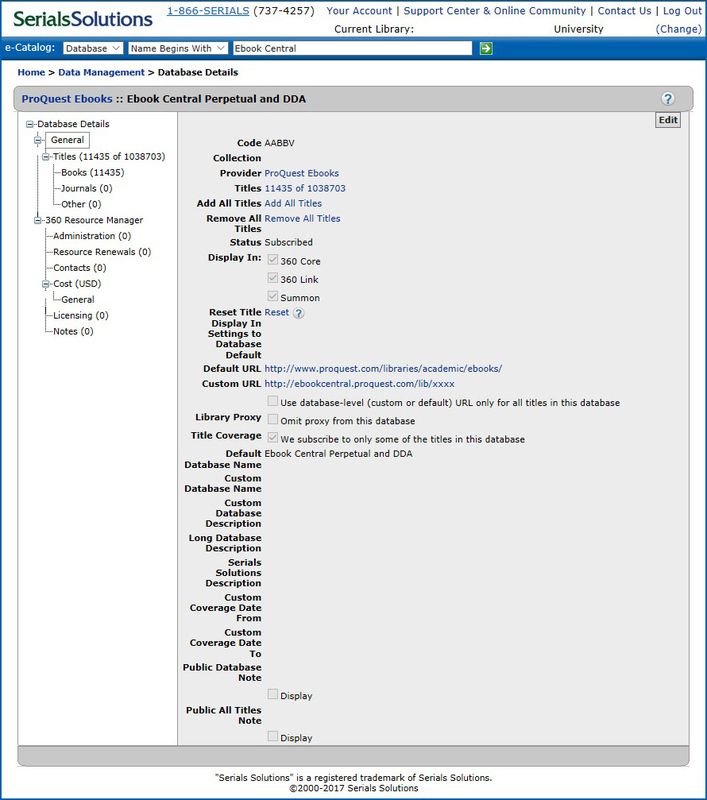 Learn EZproxy – OCLC’s official site with documents and links to the EZproxy community. EZproxy Frequently Asked Questions – Common answers for EZproxy administrators. 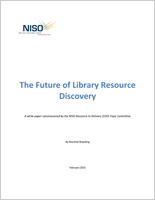 Online library services play a vital part in providing access to library resources and services. Thus, it is very useful for library staff to know the status of these third-party services. Downtime is rare, but when staff and users need to know the availability of online services, having a library service status page can be extremely helpful. Fortunately, library vendors know this and increasingly are providing access to websites for displaying current service status and notices of planned interruptions. 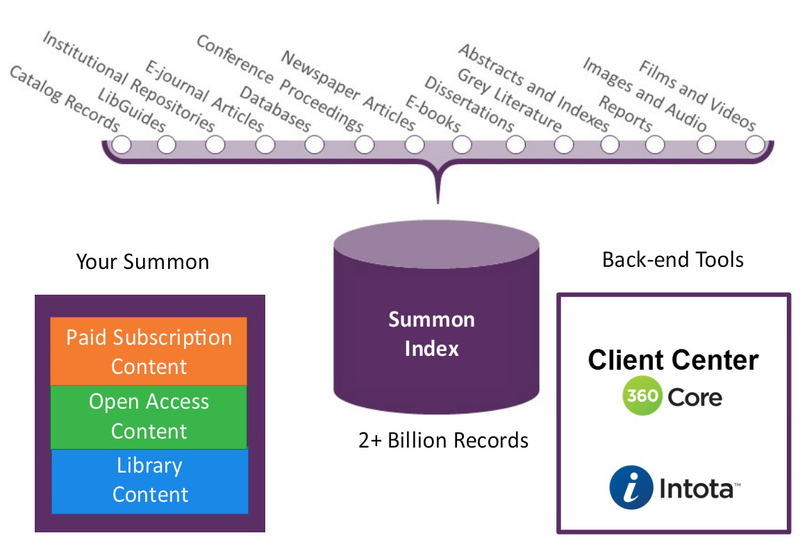 bepress supports institutional repositories with Digital Commons, SelectedWorks, Expert Gallery Suite, and ExpressO online manuscript delivery service. Their website has a Current Status page that covers all of these services including status details, scheduled maintenance, and recent product updates. Access the bepress Current Status page. On its EBSCO Help website, the company provides News and Alerts for its wide range of databases and EBSCO Discovery Service (EDS). You can enter your email address to subscribe to alerts, as well. 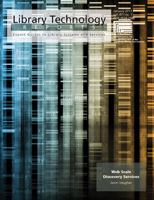 Access the EBSCO Help Alerts page. With the merger of Ex Libris and ProQuest, Ex Libris took over the support of all library systems and discovery services. The company has created a unified system status page for Alma, Summon, Serials Solutions 360 Link, Intota, Primo, SFX, and more. Access the Ex Libris System Status page. From the OCLC Support & Training website, you can access OCLC System Alerts. This blog-like site reports current and past maintenance and issues for services including Connexion, hosted EZproxy, WorldCat, and WorldShare products. 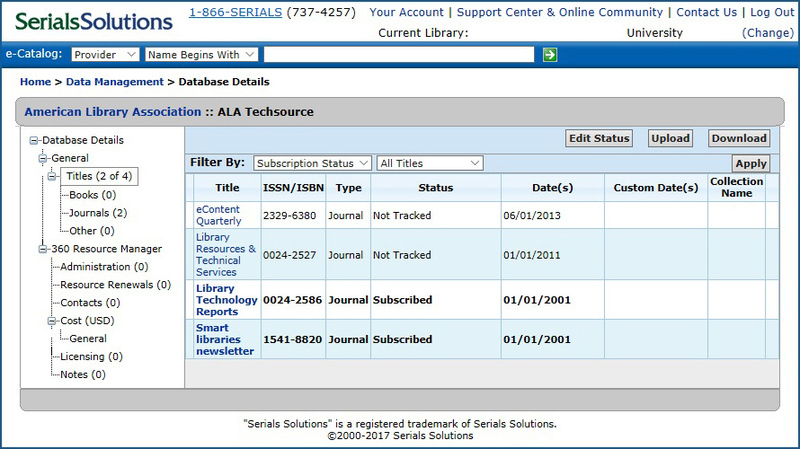 Access the OCLC System Alerts page. SirsiDynix is a major library vendor with cloud-based systems such as their BLUEcloud services. The company’s status page contains notifications of scheduled maintenance and outages by region. Access the SirsiDynix Status page. 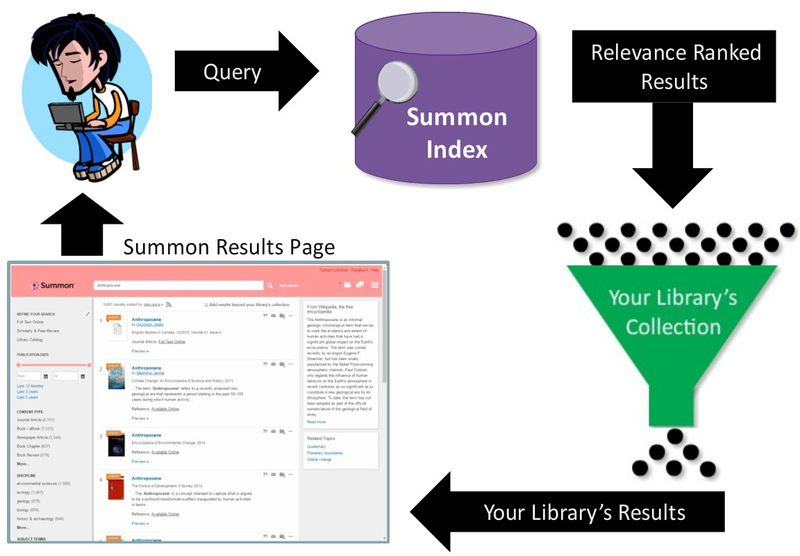 Springshare understands the importance of providing status information for library resources and services to library users. That’s why they created the Systems Status Dashboard in LibAnswers that allows your library to set up and display the status of your website, LibGuides, local resources, and databases. You can alert users to any planned system maintenance and explain unexpected downtime. For any LibAnswers site that has enabled the public status dashboard, you can view it by adding /systems after their LibAnswers URL. Some examples are Manchester Metropolitan University, the University of Maryland Libraries, and Georgia College. Read more about the Springshare Systems Status Dashboard. 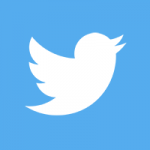 In addition to bookmarking the above sites, follow your important library vendors on Twitter. That is where they will often post the first announcements of issues and further status reports.